Isn't it pretty? So green. And it was mighty tasty, too. 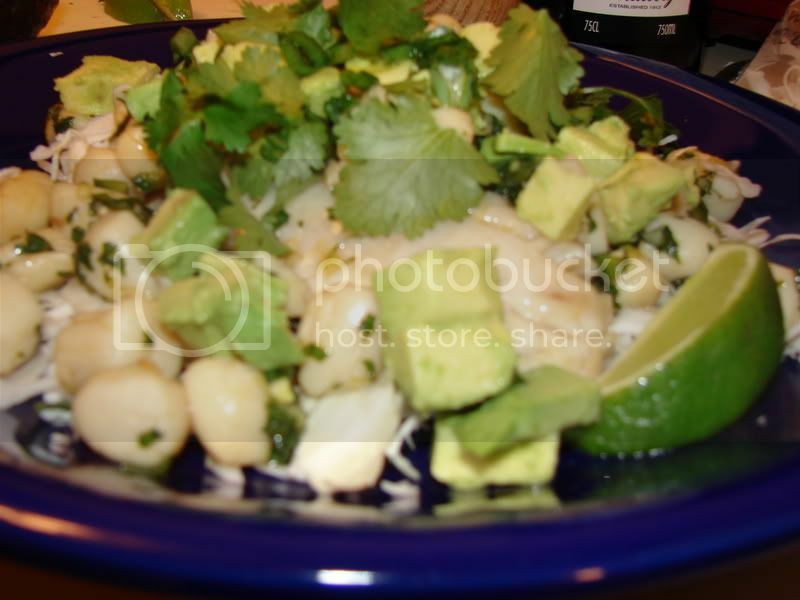 I don't have an exact recipe or anything, but it was a concoction of scallops, tilapia, lime, jalapenos, maybe some sesame oil? 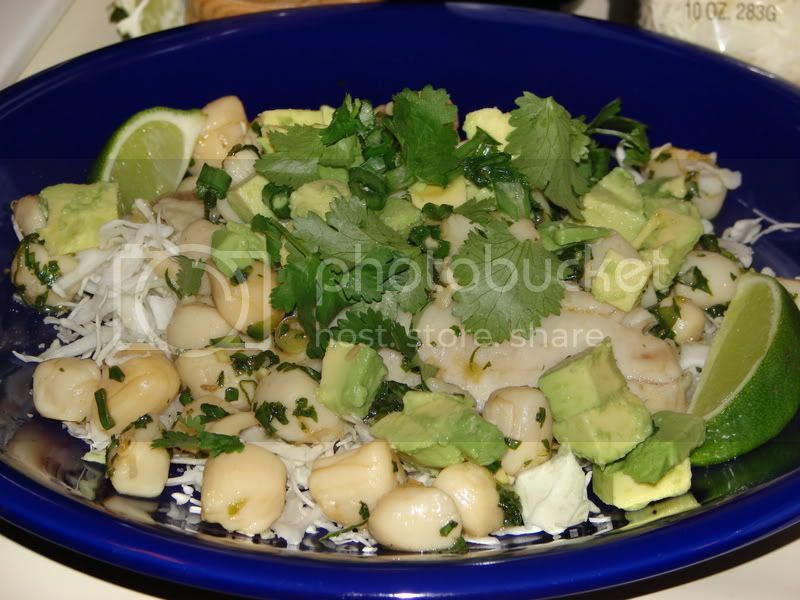 On a bed of fresh cabbage, with cubes of avocado and fresh cilantro and more fresh lime. It was pretty spicy, and had a great tang which complimented the fish nicely. Even though it was late, and I had had some sweet potato fries at the bar, I ate the whole big plate of it.